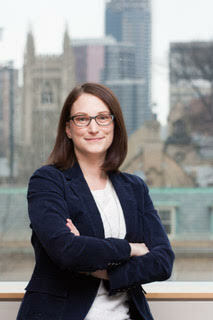 Marion Laurence is a PhD candidate (ABD) in the Department of Political Science at the University of Toronto. Her research interests include peacekeeping and peacebuilding, global security governance, and the political sociology of international organizations. She is a past recipient of SSHRC and OGS graduate scholarships, and her dissertation examines the process by which new practices emerge, spread, and become institutionalized in United Nations peace operations. The project draws on fieldwork that she conducted in Sierra Leone, Côte d’Ivoire, and at UN Headquarters in New York City. She has also worked on Parliament Hill and she was a non-resident fellow with the Roméo Dallaire Child Soldiers Initiative in 2014-2015.